This Mount Carmel Park ACE location is a freestanding building at the corner of S Figueroa St and W Florence Ave. There should be plenty of free parking for guests at this location. Los Angeles’ Metropolitan Transit Authority’s Bus lines #81, #111, and DASH Chesterfield Square all stop at Florence/Figueroa, right in front of this ACE location. Check LA Metro’s or LADOT’s website for details and regulations about stops and schedules. This ACE store neighbors a slew of businesses within the shopping center, including Panaderias & Pupuseria Ilobas, McDonald’s, Burger King, Cheko Barbershop, Pizza Hut, and Subway. Apply over the phone, online, or by visiting ACE Cash Express. Submit your documents to an agent. Don’t let money troubles interrupt your life. Apply for an auto title loan powered by LoanMart today! 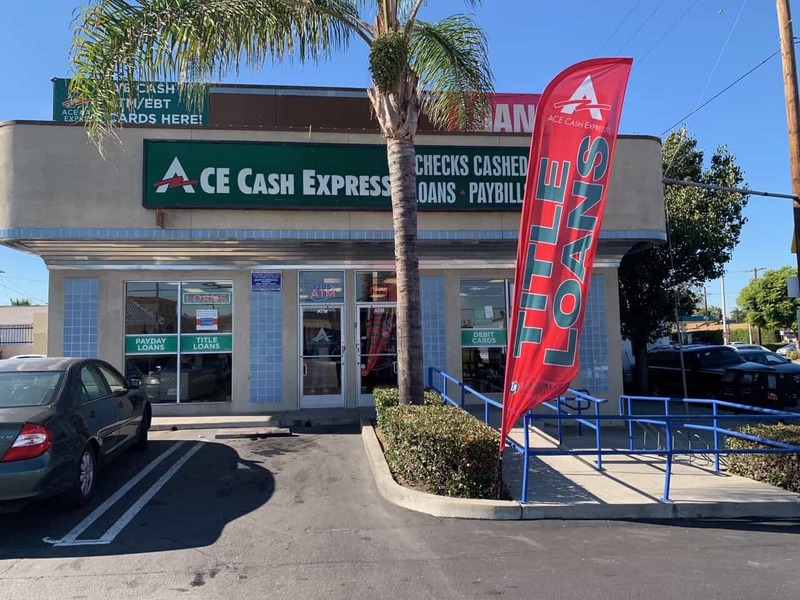 Upon approval, your representative will inform you how to retrieve your auto title loan money at an ACE Cash Express near you!